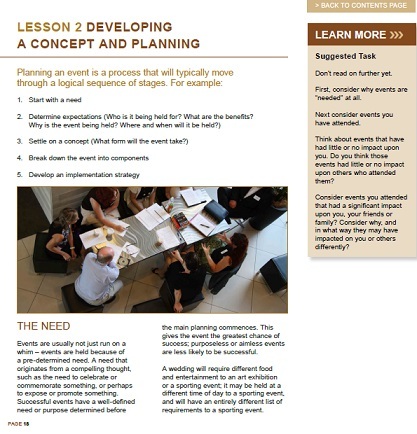 If the idea of organising, managing and running events sounds like an exciting and interesting career or interest for you and you are not sure about what exactly is involved in events managing, our 20 hour short course will provide you with a great introduction into is involved in organising an event. Using a self paced, interactive study guide; you can take as much or little time as you wish to complete this course. 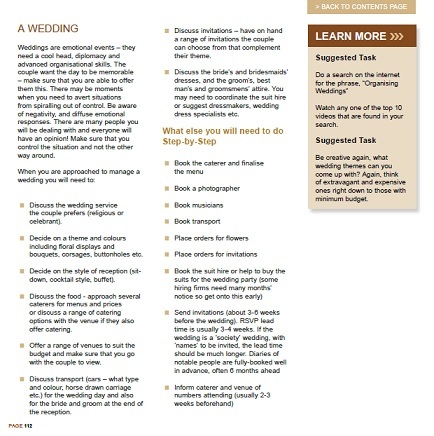 As you work through this self- guided course, you will be given a range of suggested tasks that can choose to complete or not. The tasks are a great way for you to get a better understanding of events and research local events and industries that are of interest to you. You won't miss anything important that you need to know about managing events though; so long as you read the notes that are presented alongside these "learn more" suggestions. At the end of each lesson, you will be given a short interactive test to undertake, which will provide an indication of how your learning is progressing. Upon completing the very last lesson, you will be offered a more thorough automated test or examination. 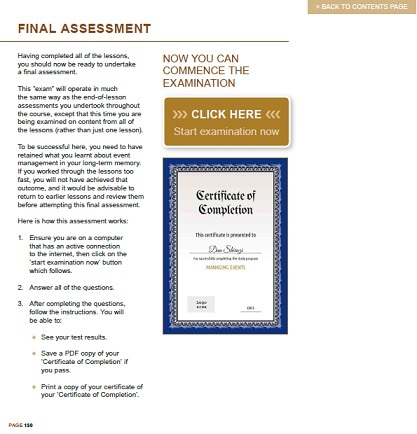 This final assessment can be undertaken at any time of day or night; and any day of the week; and if you achieve an overall pass; you will be able to obtain a "certificate of completion" with your name on it. ACS Distance EducationHello Jason. How may I help you? ACS Distance EducationNo we don't have any prerequisites for this course. 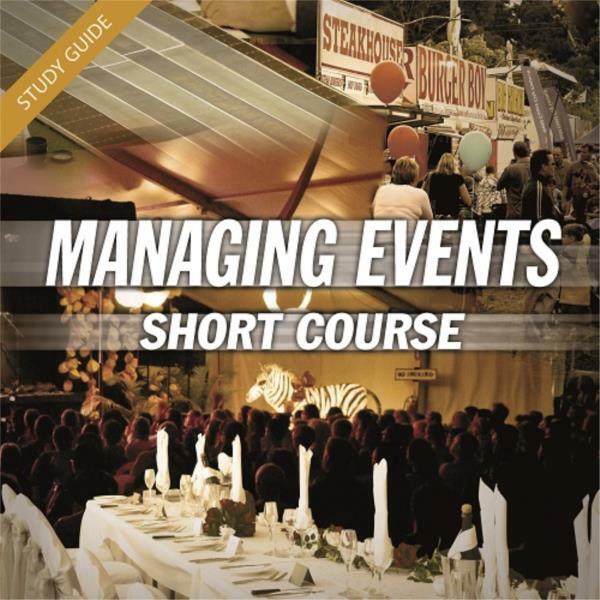 This course is full of tips and practical ideas to help anyone attempt, and successfully accomplish, event management - regardless of the size of the event or previous experience.